A NEW YORK TIMES NOTABLE BOOK OF THE YEAR, In Every Moment We Are Still Alive tells the gripping story of a man whose world seems to have come crashing down overnight: His long-time partner has developed an incurable deadly illness, even as she is about to give birth to their first child. And meanwhile his father has a terminal illness, too. But slowly, amidst the pain and fury and loss, arises a story of resilience and hope, particularly when Tom finds himself having to simultaneously take responsibility for the greatest gift of them all, his newborn daughter. 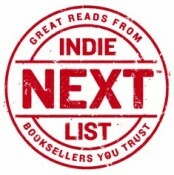 An ABA Indies Introduce Debut Pick for Winter/Spring 2018! An Indie Next pick for February 2018! TOM MALMQUIST is a poet and sports writer. He has written two highly acclaimed poetry collections. 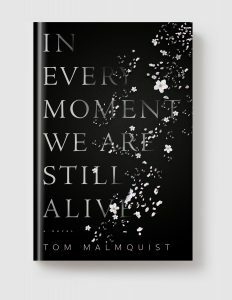 In Every Moment We Are Still Alive is his first novel. He lives in Sweden. A Most Anticipated Book of 2018 at The Millions!